QPMPA( association of kerala private medical practitineres) plans to set out a national level agitation against the promotion of the Pharm D. course by arguing that 'the advancement of the course will reduce the medical importance of Doctors' Dr. Sushma anil (a member of QPMPA) says that- -the pharmacist wheather b.pharm/m.pharm/Pharm D. are only mere compounders. -a 'compounder' wheather a b.pharm/m.pharm/Pharm D.
We should not telling anything bad to anyone or not criticising anyone. Even in countries like USA, UK it is well accepted that Pharm.D professionals are having equal quality and reputation as MBBS or else. Then what's wrong with our Indian Medical Feternity. Pharmacists will also one who help health sector to reach 1.5 billion population of our country. even MDs are learning about medicines for 2 yrs where as DOCTOR IN PHARMACY IS LEARNING FOR 6 YEARS. It is shocking that people are having objection with that. I proud to be a pharmacist. practically, pharmacist knows more about medicine than a doctor does.The comment made by Dr.s.anil shows her unawareness regarding both recent trend in medicine and society. i must say that the doctor should update her knowledge before posting any comment publicly. really dr. sushma needs a help of psychiatrist...... i m gold medalist in bachlor of pharmacy..... and i m proud to become a pharmacist. at least i have seriousness with my profession.it seems to be happen now a days that docters are only do their work only for the money, not for peoples help, a lot of examples are their and i m not a compounder. docters forget that the medicine which prescribed by docters are prepared by pharmacist like us not a physicians like dr. sushma. our profession is depends on each other either physicians on pharmacist and either pharmacist on physicians. ....................and please help to stop such foolish comments of docters or physicians. What this Dr.sushma anil can do without Pharmacist’s help in her job??????? What she told is very big insult for all Pharmacists…. Please don’t think this is just a comment from her, like her many doctors are thinking that Pharmacists are nothing….but they are nothing without Pharmacist…. I request our PCI members, Pharma companies and all pharma students and graduates please increase/improve our reputation. For any reason please don’t let our valve down…..
Don't get Nervous Dr.Sushma Anil!!!! It is my sincere message to Dr. Shushma Anil that you should not get nervous after analyzing the futurous fame of the Pharmacists.Why are you comparing yourself with pharmacists.I think that you are not familiar with the key role of pharmacist in Europe and USA.You should make your comparison only with doctors as doctors can't be compared with pharmacists.Can you calculate the amount of drug in patient body fluids,absorption and excretion,rate of biotransformation and also bioavailability of drug.Never you can perform these tests and calculations.Apart from this, patients will come out from this dilemma "Doctor is GOD" as most of the patients are suffered from the blind treatment of the several doctors.Not all but most of the doctors are earning money they have no sympathy/pithy on patient condition. Not surgeons but most of the physicians are doing blind treatement as they don't know drug-drug interactions and these prescription will be observed by the pharmacist whether doc is right or wrong therefore,please think about the patients health and not about your glory/fame. Due to this system soon India may be a developed country!!!!!!!!!!! If you are still nervous from your profession then you should get your admission in Pharm D. ......Please do somethig for human mankind and its well-being. Don't get excited by Dr S Anil's statement. I pity her, for not updating the knowledge. She really doesnot know the difference between a 'Compounder' and a 'Pharmacist'. Compounder profession no longer exist and compounding is not being done in any hospitals, because all the formulations even elixirs and solutions are readily available. Its really a pathetic situation in India, that no Physician and even the HODs of various departments in reputed hospitals doesnt know the dignity and roles of Pharmcist. What a Pharmacist is capable of globally. Eventhough some physicians know they are not willing to accept our association or intervention in patient care because of the following reasons. 1. We may question the medication errors, which most of the physicians were unnoticed these days. 2. We can become major liasion between Physician and Patient. 3. Infact we will be very close to patients as pharmacist would spend more time in counselling the patients. 4. We may question them regarding irrationale prescription which were unquestioned till date. Existing pharmcists and pharmacy graduates are not well trained in these activities and introduction of Pharma.D is a nice inception for shaping out the real profession of pharmacy in health practice. Be sportive and I expect such silly statements made by persons like Dr S Anil could not alter the upcoming Pharmacy profession. Keep smiling for better future. it is unfortunate that a doctor (Sushma Anil) is of the opinion that Pharm D course will reduce the importance of Doctors. If she is worrying then its her personal problem why she is talking on behalf of an association. She is perhaps forgetting that her prime iportance should be well being of patients. Saying a Pharm D a copounder only shows her ignorance about development of Pharmacy profession in other words she do not know meaning of pharmacy or pharmacist. I would like to let her know that PCI has already recognised the course and there is no need of any other recognition to this course. PCI is an orgnisation like that of MCI which has given her power to pregix word pharmacist. Likewise PCI has power to register pharmacists. Pharmacist in govt. hospitals helps doctors to let make their treatment successful. Its pharmacist who put a final check on the prescription of a doctor. If pharmacist do not dispense medicine according to prescription entire treatment will fail. Therefore, there is no need for pharmacists to prove their importance. Pharmacists are an important part of health system that is why Drugs and Cosmetics Act and Pharmacy Act gives power ONLY TO PHARMACISTs to handle medicines. Only a pharmacist manufacture, distribute, store and dispense medicines and any other person whether he is a doctor will be an offence. hello sir am really impressed the way u replied to that doctor! am sure u would help me on this topic too! i hav an querry about this pharma. D proffession! My question to you is that can a pharma D graduated person can do practice as like doctors and can they prescibe the medicines in India? Plz let me know to this answer as soon as possible because i want to do Pharma D.
Plz help me sir and also give me a proper guidance! i know u would be sufficiently helpful to me! 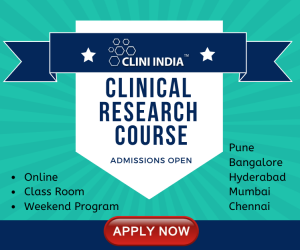 PharmD is a clinical oriented or patient oriented course.They are really called clinical pharmacist.After PharmD they can take post doctoral degrees or fellowship in specialazation in differnent areas like dermatology, cardiology, oncology general etc. PharmD graduates can start a clinic not for giving treatment to patient but to conselling the patient regarding drugs theraphy, prescription drugs and its side effects contradictions its mechanism, how its work in the human body,which a medical doctor cannot properly deal with. Moreover they can correctly tally the medicines which a medical doctor is prescribed to a patient for a purticular decease is correct or not.They have no right to prescribe medicines except in a protocol base but they have right to approve the prescription whcih a medical practioner provides to a patient and can give advise to medical doctor to the right use of drugs. (What is the stand in India do not know)But they are learning well the correct use of drugs than any other medical professional. Theraputics is one of their main subject which they study continously for three years. Its more clear that if Pharma doctors are placed in hospitals lot of drug related complications and mis treatment can be fully avoided. World Health Organization is fully supporting the need of PharmD doctors in hospitals.Their entry can reduce the head weight of medical doctors, that is the reason medical doctors are objecting the entry of pharmD. The final conclusion is that only a Pharma doctor can exactly evaluate the capacity of a medical doctor how he is professionally. Let more pharma doctors come out to serve the society. doctors nowdays feel that entire medical field is controlled by them and they want to take the advantage of it. They have kept ethics sideways and always bargaining with pharma companies to get more monetary benefit and they are least concerned wtih the wellbeing of the patients. i ve some questions regarding the knowledge of this doctar............? 1)r u really a doctar? 2)how many years ve u spended in ur profession? 3)r u knowing the meaning of RESPECT? check it all answers and ask urself. sir,first of all u should know the difference between compounder and a pharmacist. i ve not much comment as the PHARMATUTOR already consist of it, and its my proud to say yhat all r true(THANKS FRIENDS-U VE RALLY POSTED GOOD COMMENTS). i ve a reqest to u to plz read all the comments and then think on it and before saying to any proffession u should owe respect to it. all the comments posted in the pharmatutor r true whether u accpt it or not. Doctors are supposed to be sensitive people. They are required to have a sound know how of the people and varied allied professions around them. The world does not revolve around doctors.doctors and pharmacists or for that matter, other allied medical profession needs to complement each other,with the main aim to provide a beneficial health care system. It is actually very pathetic to see the doctor's highly inflated ego.Being a doctor,she is supposed to know the duties of a compounder and that of a pharmacist. Dear doctor,please commenting,check your knowledge. Being a pharmacist, i cannot tolerate your thought process. reply to Dr.SUSHMA ANIL SORRY PHYSICIAN SUSHMA ANIL . AM THE DOCTOR OF PHARMACY , FIRST BATCH IN INDIA, COMPLETED IN JULY 2011. IF U R HIGH KNOWLEDGE IN MEDICINE PROVE AGAINST ME..... AS UR STATEMENT AM A COMPOUNDER,,,? ? CAN U PROVE ME... ? U GIVE ME UR 50Nos OF PRESCRIPTION , INTHAT I GIVE MINIMUM 25 WRONG PRESCRIPTION OF URS. DID U STUDY DOCTOR ? CHECK UR COURSE.....INITS UR COURSE IT CONTAIN ANY DOCTOR ? First of all everyone should know that there are many kind of doctoral degrees.Doctors means those who have got doctoral degree from the universities or educational board. Due to our limited knowledge we are calling medical practioners as doctors.Actually medical practioners are called "APOTHICARY", or you can call them as medical doctor if they got doctoral degree. PharmD means they are pharma doctor. There is doctor oflaw, Doctor of philosephy(in hundred of sub:). So all these doctoral programmes are legally got right to add doctor with their names. Actually to a mediacl practioner it is a common use come as doctor. At least we the society should call them as medical doctor, pharma doctor, doctor of law etc. then there is no ego issues or confusions. All arguements are coming due to the ignorancy of knowledge eventhough they are holding high degrees in their hands. 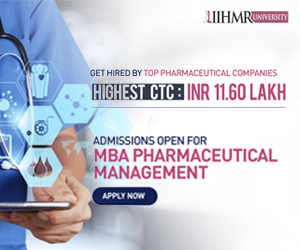 PharmD is a world wide accepted high professional degree like doctor of medicine or doctor of dentistry. Please stop the arguements and come to the right knowledge. Let everyone do their duty which wested upon them and honour the profession of others and accept their qualifications to avoid all egos. try to be a skilled pfofessional to serve the benifit of the society without harming others. very well said Dr. S Arunmozhy. sushma i cant tell you doctor. respect other and you will get same. never blame on pharmacist just for your money mind. by the way GET WELL SOON. dont know about your patient. and dont point fingers on pharmacist just because of your ego. Doctors community also.I have a question for you, can you treat the patients without medicines which are not manufactured by doctors??????????? ?.please do not touch those medicines because it is manufactured by a pharmacist.Please treat with a piece of pen and paper and your BORN MEDICINES KNOWLEDGE." do you know the value of pharmacy profession, doctors are giving life to patients with medicines but WE ( so called pharmacists and Compounders, Chemists) are giving life to medicine. Can you treat a patient with out a medicine.Doctor and Pharmacist are Just like two eyes,please stop this kind of segregation, please behave like a Doctor, then you doesnt need anti psychotic agents. I totaly agree with Suman what he said.Please mind your language at this point of time. we are the person doing various studies to ensure patients life become more comfortable and safer enough. we are the person only works towards building quality into products to ensure safe deleivery to patients. Most of the doctors only diagnose the problem using reports from welknown diagnostic labs and finally take a decision on what has to be given to patients. please do not include B.pharm and M.pharm into this. Where this medical doctor Sushma Anil living. This medical doctor must up date the knowledge according to the present centuary. Its quiet wonder that in this 21st centuary a medical doctor thinking such a narrow and baseless way. Even they are thinking clinical pharmacist is a compounder must know that even in compounder subject they can take a doctoral degree in present world. Now doctoral degree is available in each and every subject and those who get such degrees they can add Dr. with their names. Even those who are getting honourary doctorate is adding Dr. with their names. Then why don't a PharmD (Doctor of pharmacy)graduates cannot. PharD is a world wide accepted high professional degree like Doctor of medicine or Doctor of dentistry. This medical doctor should work in abroad for sometimes then will know the roll and value of pharmD (pharma doctors. )Actually it is baseless that anyone using prefix as Dr. without having a doctoral degree. If an MBBS or BDS graduate can use doctor with their names it can be with any bachelor degree holders legally. If any one file a case in the court a B.SC. BA, B.Com etc. graduates also can add Dr. in their names. Adding Dr. is not a matter but to honour everyone. dear sushma anil, u r not only the doctor in this world and more over mbbs is not only the doctoral prgm on this earth, there are many courses which awards doctoral degree. first of all gain knowledge about other courses also doctor ji.i also qusn u do u know the composition and prepn of the tablets which u prescribe? do u know their side effects nd do u know the correct combinations of medicines? u just prescribe based on the diagnosis, and u cant do any thing with out medicines which are manufactured by the so called compounders. Yes we r proud of what u've said also, WE compound the COMPOUNDS of MEDICINES, and u guys, Doctors i.e physicians use these compounds for the patients. Anil all fields are necessary and every profession has its own importance, dont under estimate any profession,both DOCTORS & PHARMACISTS are required to cure a disease, thats the reason in foreign countries every doctor is accompanied by a clinical pharmacist. dear physician Sushma Anil, you better consult a good counselor, inorder to cure your EGO. Because we pharmacist still now didn't invented medicines to cure EGO. But for you we INDIAN PHARMACIST (in your language 'compounder') we will research and try to invent medicine for you., till that time you just cosult a good counselor. Most of the medical doctors are thinking in India they are the high rankers in the society. That is the main reason many are giving high donation and getting admission for MBBS and BDS,even they getting degrees having no knowledge at all. Their prime aim is to make a name in the society not for serving the people, so the quality of medical practioners are reducing day by day and their service become business and money minded based. Most of the medical doctors only diagnose the problem using reports from well-known diagnostic labs and finally take a decision on what has to be given to patients. Actually the duty of a medical doctor is to diagnose the decease. Sorry to say that many of the medical doctors are not fit in that, that is the only reason medical doctors are afraid or resist the upcoming of PharmD. According to the survey most of the prescriptions provided by medical doctors are wrong that is the reason we are hearing many death cases due to wrong medication and false treatment. To avoid such practice most of the developed countries upgrade pharmacy profession in health care system that is called PharmD (pharma doctor). PharmD is an integrated specialized course in clinical pharmacy which gives a professional doctorate degree with 6 yr duration like MD or DD. Many developed countries MD also an integrated course duration of 6 yrs. But medical doctor Sushma Anil should know this to upgrade knowledge. Only a pharmacist manufacture, distribute, store and dispense medicines any other person whether he is a medical doctor will be an offensive according to the law and act. Pharmacists are the person only works towards building quality into products to ensure safe delivery to patients in diagnosis and are more familiar with drugs and its interactions and side effects than any medical doctors. Pharmacist may question the medication errors, which most of the physicians were unnoticed. Pharmacist can become major liaison between Physician and Patient. In fact pharmacist will be very close to patients as pharmacist would spend more time in counseling the patients. Pharmacist may question them regarding irrational prescription which were unquestioned till date. Pharmacist has enough knowledge and well skills in handling of medicines. Most of the time we can see that medical doctors are learning things from Medical representatives about indications, Dose etc. Moreover any medical doctor can calculate the amount of drug in patient body fluid, absorption and excretion, rate of biotransformation and also bioavailability of drug. Never you can perform these tests and calculations. Its pharmacist who put a final check on the prescription of a medical doctor. Apart from this most of the patients are suffering and spoiled their life from the blind treatment of the several medical doctors. To avoid these dangerous situation and bridled medical doctors, PharmD (Pharma doctors) are very very important in India, to keep our nation healthy. I think that u know a little bit about pharmacy.Your whole treatment is based on those drugs which are discovered and manufactured by pharmacist.You know that much about a drug which is told by a Medical representative.whereas we pharmacist know every thing about a drug as we studied only about drugs in UG and PG courses.many times i have seen some doctors that always misguiding people.they just don't diagnose them properly and prescribe a bunch of medicines.they even go for a hit and trial, if they don't know what the disease is? At this condition we can only save those patients by giving them the current advice.I think that u need to do is just diagnosing those patients and leave the rest for us so that even some may not loose their life. beware of saying compo under to any pharmacist. why she is worried about pharm.D program, is she the member of loksabha or rajyasabha to give her opinion. Mr's please concentrate on your profession first. the statement given by you sounds like students in India should not go for the program, please put-off giving statements like this. Dr.Sushma Anil.....i feelng so sad abt d content of ur brain..u claim urself as doc...nd docs r vry intellignt...but d case is diffrent wid u..u hv as li'l knwledge of pharmacy or pharmacist as d villagers do..to ur information..ur work as a doc is to diagonise nd treat patients...nd drug monitering,ADR,medication review,history review etc all r d duty of CLINICAL PHARMACIST..if u know the professsion..nd in foreigns pharmacists r more than god...its d bad luck of whole pharma industry in india due to people lyk u we r taken as mere people...and we are proud to be wat we are...we are not afraid lyk u dat anybody will come and grab our post..so one little advice more..if u have access to internet kindly check status of pharmacy and clinical pharmacy,their duty,jobs,responsibilities..the whole doctor association shld be ashamed of u.. I need your contact details... We need change... Actually if we dont work or do research what those doctors can do with the patients. we spend and struggle to development of molecule and we beg them to try on their patients and if results positive they are taking the credits. We realy need a change. Need to discuss more. Need your contact details. "Proud to be A Pharma Graduate"
Update your knowledge regarding our Proffesion. DO U KNOW THE STRUCTURE OF PARACETAMOL... U PRESCRIBING DAILY... BUT YOUR PHARMACIST KNOWS IT.. PHARMACIST ROCKS..
i think its not the ego of p.c.i. its the fear inside like these so called doctors as they weren't aware of the drugs and dosages as the pharmacists does. Do you know about D&C act? you know how dey are practicing in abroad? give your prescriptions i will show the mistake that you done..
Dear Dr. will u plz tell me about how u diagnose the patients. .Secondly did u know anything about medicines. U know, ultimately job of doctors or pharmacist is to create and maintain a healthy society. The thing which you are talking about is selfishness. Only you people are making differences in humans. You are talking about your work huh? This reflects the sick mentality and psychic state of Dr. Sushma. Because of this mentality, India is not growing above the level of medico vs pharmacist. Not to blame Dr Sushma entirely on this as the Indian political system on the governance of the pharma and medical systems in India rests with our policy makers.